Cosmo.ph x Google will be holding a Facebook Live event on March 8 with these #girlbosses! 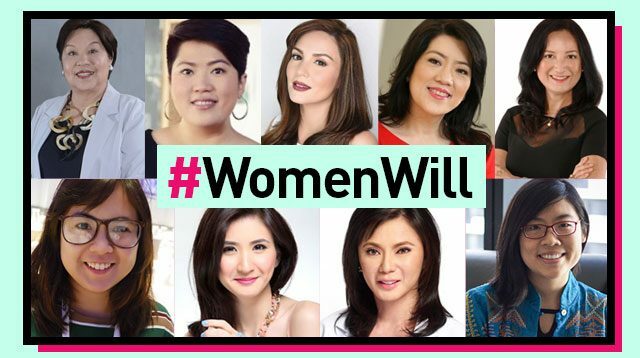 It's International Women's Day (IWD) on March 8, and we can't think of a better way to celebrate womanhood than by learning from some of the most influential and empowering ladies in the Philippines. In line with IWD’s theme this year—"Be Bold For Change"—Google launched a global campaign called #WomenWill to promote the importance of knowledge and access to information. Google Philippines has gathered nine Pinay #girlbosses in tech to talk about their challenges, triumphs, and adventures, as well as to give tips on how technology, especially social media, can drive your success. The Cosmo.ph team will be exclusively covering the event, so you don’t have to worry about experiencing major #FOMO! Catch us on Facebook Live at 10 a.m. and 1 p.m. on March 8! It’s going to be a day of life lessons and ~*inspiration! *~ Be sure to tune in on March 8 so you can find out how you, too, can hit it big and be a girl boss in tech. 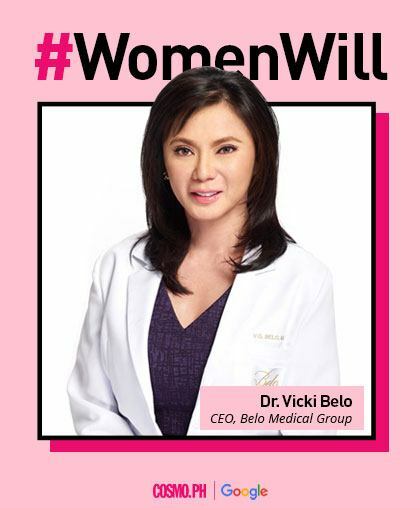 Dr. Belo is known as "The Philippines' No. 1 Beauty Expert and Doctor to the Stars." Her goal is to make the Philippines the most beautiful country in the world, as well as to make weight loss and skin care more accessible to everyone. 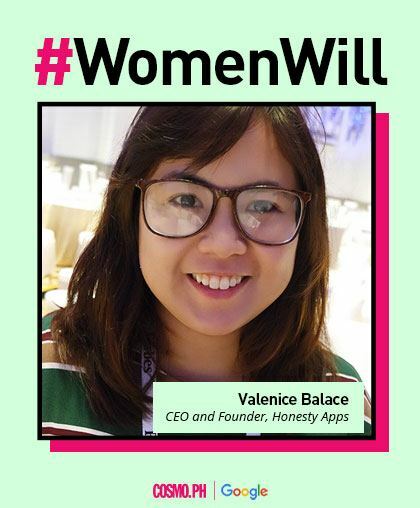 Valenice is the CEO and Managing Partner of Honesty Apps. She also created a dating app called Peekawoo, which landed her a spot in Forbes' "30 under 30 Asia." 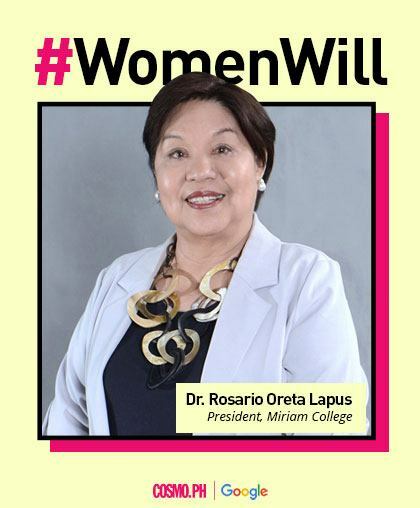 Dr. Rosario is the president of Miriam College. She has a doctorate in Education from UP, a Master's degree in Education from Boston College, and another one in Gerontology from the University of Massachusetts. She also spent three years as a researcher at the Harvard Graduate School of Education. 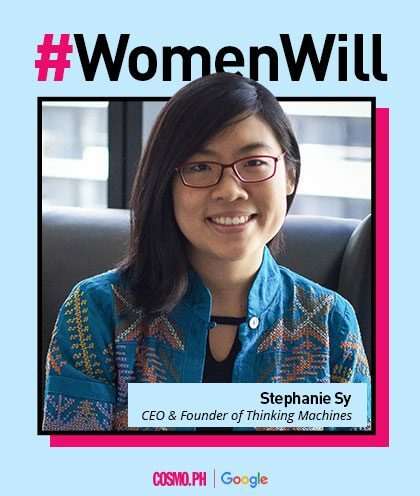 Stephanie is the founder of a data science consultancy called Thinking Machines. She has a Bachelor's Degree in Management Science and Engineering from Stanford University. 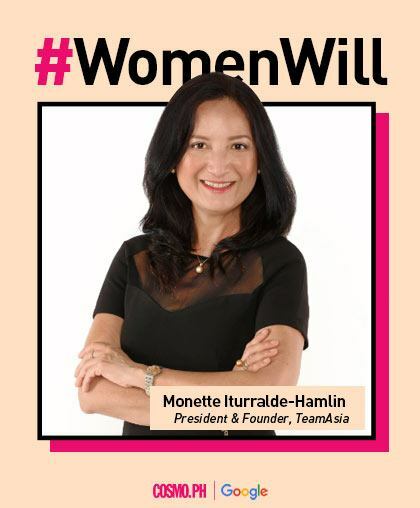 Monette is the president and founder of TeamAsia, a top-notch marketing firm. She is also a chairman of the Philippine Association of Convention/Exhibition Organizers and Suppliers; chairman of Hopkins International Partners, Inc.; and a trustee and treasurer of the Women's Business Council of the Philippines. 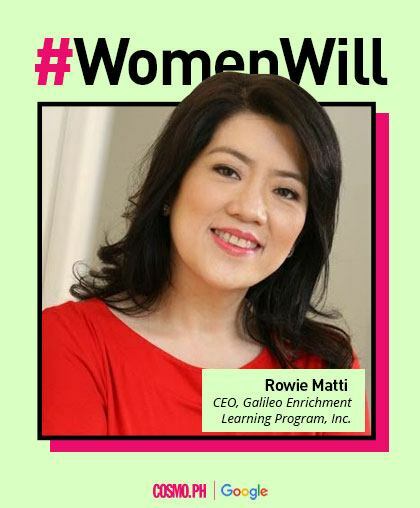 Rowie is the CEO of Galileo Enrichment Learning Program. She also happens to be a Google Educators Group (GEG) Leader for the Makati CBD chapter. GEGs are communities of educators who learn and inspire each other to teach using technology solutions. 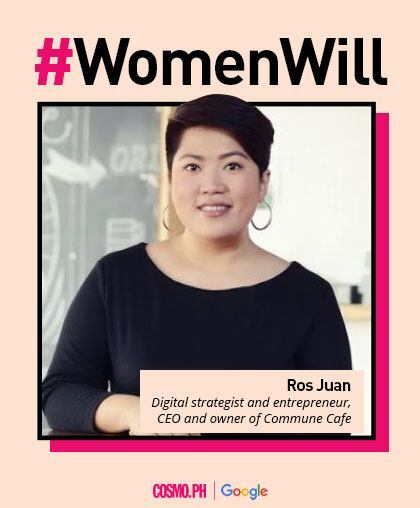 Ros is the CEO and owner of Commune, a café that proudly serves local coffee, and the co-founder of TweetupMNL. She is also a Hootsuite Ambassador. Cheska is a model, actress, YouTube creator, and social media influencer. 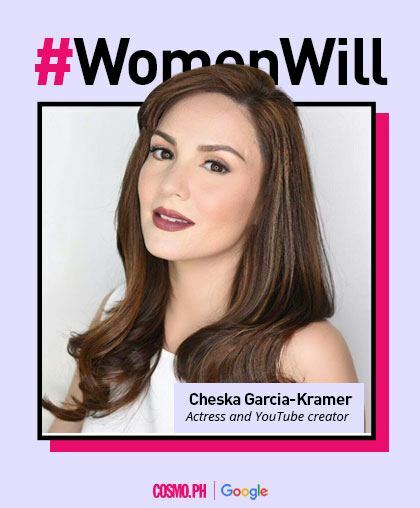 #TeamKramer <3 She’s also working on a project called 100% Whole Mom. 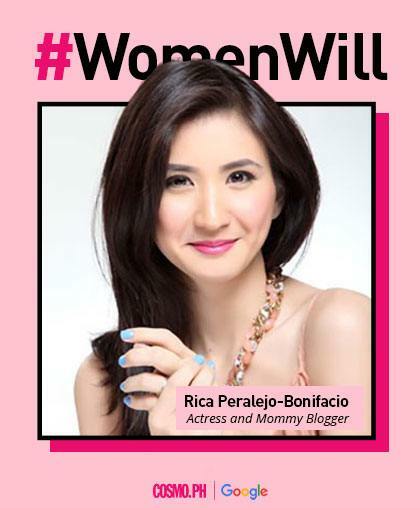 Rica is an actress, host, and blogger. Together with Cheska and Marilen Faustino-Montenegro, she is busy with 100% Whole Mom—a passion project that involves hosting workshops for mothers. Follow Cosmo on Facebook, Instagram, and Twitter for event updates.